Blogs offer a great opportunity for individuals diagnosed with LGMD to share their life experiences, challenges, accomplishments, and passions. 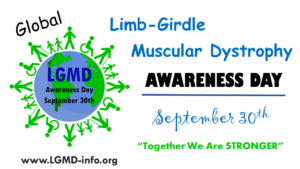 They also serve as a great tool to raise awareness of LGMD. 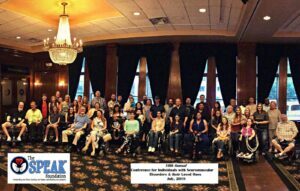 NMD United is a non-profit organization composed of adults living with neuromuscular disabilities. This organization generously offers a variety of small grants to a help offset some of the few of the hidden costs of disability that individuals living on a fixed income or low wages are forced to pay in order to maintain their independence. Individuals are eligible to apply for and receive all grants in a single calendar year. Former grant recipients of past years are eligible to re-apply. Grants are awarded on an as-needed basis as long as funds remain available. Individuals experiencing an immediate financial hardship, such that their health, safety and/or ability to independently live in the community is impacted, are strongly encouraged to apply. Grant requests are subject to approval by NMD United’s ALEF Committee. It is very important for you to get a genetically confirmed LGMD diagnosis. If your doctor tells you that you have an LGMD but doesn’t genetically confirm it, your diagnosis is incomplete. Knowing the exact form of LGMD or sub-type is important as there are health benefits for confirming an LGMD sub-type through genetic testing. As an example, some treatments like steroids will help patients with one type of LGMD and hurt patients with another type of LGMD, some sub-types can experience complications with the heart, breathing, and/or with anesthesia… so knowing what type of LGMD that you suffer from will help you manage your health. Further, if you want to help researchers and physicians trying to find a cure for your disease by participating in clinical studies and trials, you will need genetic confirmation in order to participate. 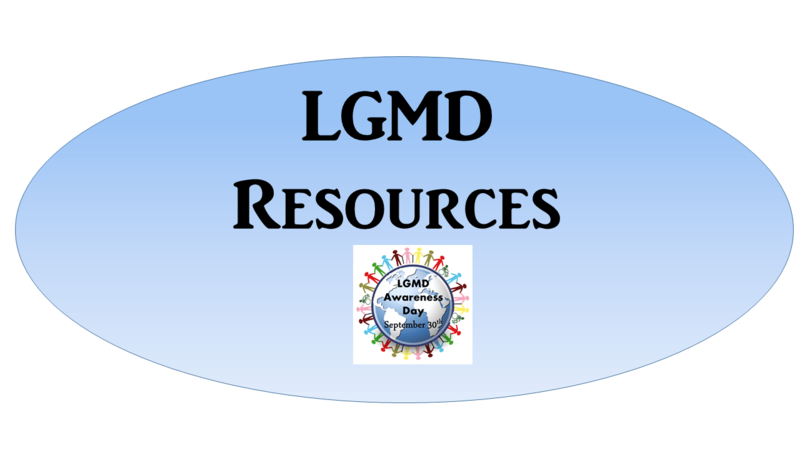 Have you received confirmation of your LGMD sub-type diagnosis? Please consider having your name entered into a diagnosis-specific LGMD Patient Registry. This is a searchable registry and results database of federally and privately supported clinical trials conducted in the United States and around the world. ClinicalTrials.gov gives you information about a trial’s purpose, who may participate, locations, and phone numbers for more details. This information should be used in conjunction with advice from your healthcare professionals. 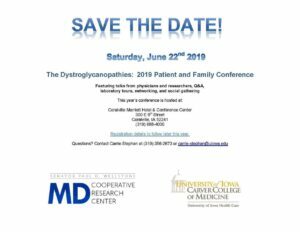 Advocacy groups, research sponsors, and community leaders are frequently contacted by LGMD patients &/or family members asking whether or not they should participate in different “treatments” that are either being offered somewhere that they heard about over the internet, that a friend recommended or that they heard may “possibly” be available in the future…such as a form of stem cell therapy, gene therapy, snake oil treatments, green tomatoes, vitamins, medication, etc. So, how does a patient who feels desperate and willing to try anything that may help them make informed decisions? Patients can empower themselves by investigating whether or not a treatment has been published and proven to be safe and effective. For the health & safety of the LGMD patient, it is extremely important to determine whether a treatment is legitimate! 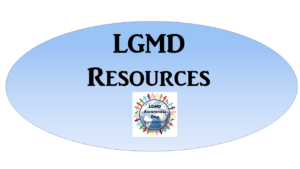 To assist you in assessing the legitimacy of any “Proposed Treatment for LGMD”, please consider using our 5 Question “Checklist” (PDF Document). Follow us on Facebook for educational posts and updates on current topics of interest. Are you or a family member at a point of needing a wheelchair for mobility…but don’t really know where or how to begin the process? User’s First, an advocacy organization, has created a “Mobility Map” which is an online step by step guide on how to get “The Right Wheelchair” for your specific needs! Every step is covered, from how to get started, getting a prescription, how to get fit through a wheelchair assessment, your home assessment, letters of medical necessity, funding & how to fight for your funding, dealing with denials, ordering your wheelchair, delivery of your wheelchair, etc. Getting a proper wheelchair is so important for enhancing your function, maintaining comfort and improving your independence. It is a big decision…so you want to be well informed throughout the entire process. (Although written for the spinal cord injured patient, the material is still very applicable to those who have LGMD). The Mobility Map was created to empower the consumer because it guides and educates them through the entire service delivery process of seating and wheeled mobility–so that you can take charge in choosing the best equipment to meet your personal needs. The American Academy of Neurology (AAN) published recommendations for the care of people with limb-girdle muscular dystrophy and related disorders. Mobile Apps are also available “Muscle Disease Guidelines“: The American Academy of Neurology (AAN), representing more than 28,000 neurologists and neuroscientists worldwide, is the trusted name in evidence-based guidelines for diseases of the brain and central nervous system. The AAN Muscle Disease Guidelines app includes “Diagnosis and Treatment of Limb-Girdle and Distal Dystrophies,” published in the AAN’s leading scientific journal Neurology®. Download the AAN Muscular Disease Guidelines “app” for iOS through the iTunes Store or for Android through the Google Play Store. Individuals with Muscular Dystrophy (MD), often face daily challenges in performing essential tasks, including activities in your personal life as well as job functions. If your MD prevents you from earning a living through gainful employment, then you can potentially qualify for disability benefits from the Social Security Administration (SSA). For those who qualify, the SSA’s disability programs provide a source of steady, consistent income. This means you can count on receiving monthly benefits to cover your everyday living expenses and help you meet your ongoing healthcare needs.